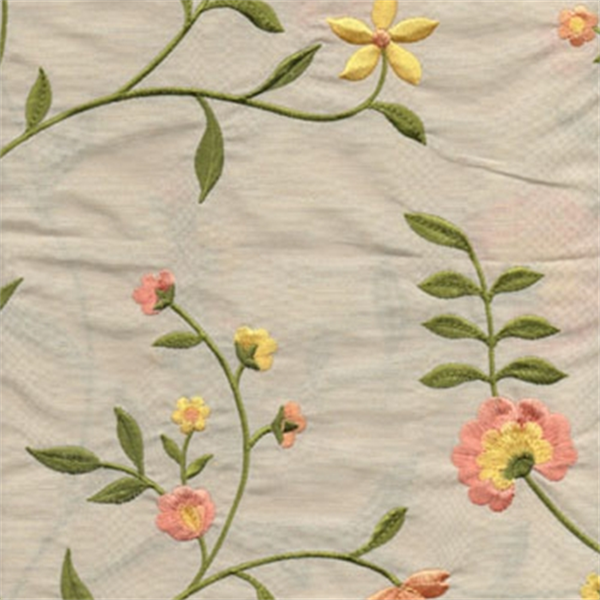 Beautiful, ivory faux silk drapery fabric, with embroidered flowers in pink, yellow & green. Great as pillow fabric, drapery fabric or bedding fabric. Fabric suitable for many home decorating applications. Dry cleaning recommended. Compared at $44.95. Please allow at least 2 weeks for delivery.